We look forward to welcoming you to Philadelphia and the University of Pennsylvania! A representative from Penn Language Center will greet you at your residence hall (not the airport) and help get you situated in your new dorm. Orientation materials will also be distributed at that time. Until then, please read the following to guide you to your final destination. Here’s a pdf version – please print and keep it with you as you travel! At your first point of entry into the United States, whether in Philadelphia or another city, you will need to pick up your baggage and clear customs. If Philadelphia is not your first point of entry, you will then have to recheck your baggage before you continue on to your connecting flight. If you are unable to locate your baggage or are delayed, we urge you to board your connecting flight WITHOUT your luggage. Your bags will follow you to your final destination. In the unfortunate event that your luggage is misplaced by the airline company, proceed to the airline’s passenger services office in the baggage claim area to file a claim before leaving the airport (unless you have a connecting flight to catch in which case you can file your claim at your next destination). You can give your campus address as the delivery address and PLC’s cell phone number as your phone number when filling out the report. A helpful tip: Pack a change of clothing and basic toiletries in your carry-on just in case you are not immediately reunited with your luggage when you arrive in Philadelphia. On the day of your scheduled arrival, PLC staff will keep track of your flight’s estimated arrival time. Therefore, you do not need to notify us if your flight is delayed. However, if you MISS your flight and will be traveling to Philadelphia on a DIFFERENT flight than listed on your original itinerary, please notify PLC as soon as possible. The suggested and most efficient way to get from the airport or bus/train station is by taxi. The travel allowance you will receive from IIE will offset your taxi fare. Depending on how much baggage you have, standard taxis can likely accommodate 2, maybe 3 FLTAs. You may want to share a taxi with another FLTA to save money. Please be sure to fill out the survey so we can share your itinerary with the group. Instructions for taking a taxi are below. However, if you’d like to explore other means of transportation, Philadelphia is also serviced by Uber, Lyft, and a public transportation system (www.septa.com). The University of Pennsylvania is located approximately 15 minutes (without traffic) from Philadelphia International Airport. Taxis charge a flat rate of $28.50 (does not include tip) to Penn. Cash is preferred, but credit cards are also accepted. If you wish to pay by credit card, please let your driver know at the start of your trip. Ask the driver to take you to 39th and Spruce Streets. You will be expected to pay the fare once you arrive. Depending on the time of day and from which station you are traveling, cab fare should cost no more than $10.00-15.00 including tip. Cash is preferred, but credit cards are also accepted. If you wish to pay by credit card, please let your driver know at the start of your trip. Ask the driver to take you to 39th and Spruce Streets. You will be expected to pay the fare once you arrive. Finally, your last stop will be Harrison College House. 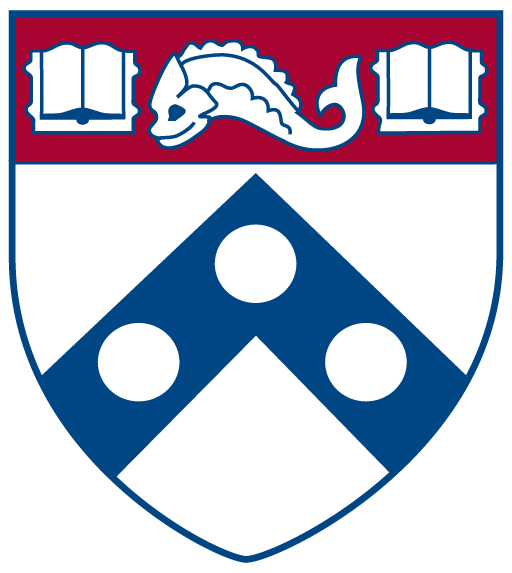 From 9:00 AM to 7:00 PM (or thereabouts) on arrival day, representatives from Penn Language Center will welcome you to Penn and help you check in to your dorm. However, if you arrive outside of these hours, don’t worry! The front desk is staffed 24 hours 7 days a week, and someone will assist you. Another tip: Pack light! There are no porters to handle your baggage once you land in Philadelphia. Many websites such as Amazon.com and Target.com offer free shipping to your host institution if you wish to purchase new things for the year.